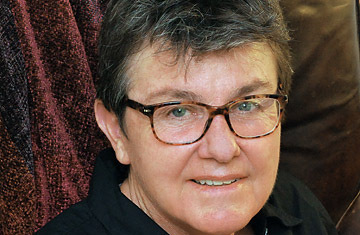 Kay Ryan is named Poet Laureate of the United States. When the Library of Congress announced Kay Ryan as its pick for 16th Poet Laureate Consultant last week, the poetry community went all atwitter. Mention the title "poet laureate" outside the poetry community, and you'll find it has an appeal that's, well, poetic. But even cognoscenti who can rattle off the rhyme scheme of a sonnet in their sleep might be hard pressed to answer the question: What exactly does the poet laureate do? Just ask Billy Collins, who served from 2001 to 2003. He says one of his predecessors told him that being poet laureate means you basically spend a year explaining what the poet laureate is. "In my case," Collins says, "that meant explaining that it is not a presidential appointment, which is what a lot of people think." Patricia Gray, the head of the library's Poetry and Literature Center, describes the laureateship as an "iconic" position. It is the highest honor for a poet in this country, bestowed by the Librarian of Congress, who consults with former laureates, the current laureate and poetry critics in making his choice. It is the only government office for a literary artist that is not federally funded. It is an academic-year position (October to May), but poets may extend their term if they choose. The perks include a $35,000 stipend, a $5,000 travel allowance, cultural cachet and a swanky office at the Library of Congress  aptly called the Poetry Room, replete with furniture from the English Edwardian and American Colonial Revival periods and a view of the Capitol. From this exalted perch, the poet laureate is charged with bringing poetry to the forefront of the American consciousness, as well as playing consultant to the Library of Congress  which includes giving a reading at the beginning of the term and a lecture or reading at the end of the term, organizing monthly readings and overseeing the library's poetry fellowships and prizes. And, of course, he or she should continue to write poems. Sounds simple enough. Still, many laureates have found the demands of the position overwhelming. In his forthcoming memoir, Unpacking the Boxes: A Memoir of a Life in Poetry, Donald Hall, who served from 2006 to 2007, sums it up in one sentence: "And the whole laureate year elapsed in a blur of activity." The current laureate, Charles Simic, says he was often too busy to talk to his cat. He kept expecting the rush to die down, but it never did. "It's endless interviews," he says. "The position is so well known that sooner or later every newspaper and magazine in the country gets in touch with you." And then there's the correspondence: dozens of e-mails a day from verse-challenged citizens who aren't afraid to go straight to the top. "Requests from schoolteachers asking you to give advice to students on how to read literature," Simic says, "or from a business association in Topeka asking you to read a poem at the opening of a convention. My cell phone would ring, and a high government official would ask me to fix a poem written by her late father to read at his memorial service. Sometimes I wanted to go just to see who these people were, but you can't do everything." There are also the demands of travel. Typically, the poet laureate commutes between his or her home, Washington, D.C., and the numerous towns or cities where he or she has been asked to give readings or lectures. For many laureates, the transition from private to public life is unsettling. Writers who feel more comfortable stepping back to observe the world are thrust into a position of authority. "Suddenly you're asked to stop looking at specifics  I mean, I write about saltshakers and knives and forks  and talk like a politician," Collins says. "You're asked to leave right side of brain and live in left side." For others, though, the sudden celebrity is an upside. Mark Strand, who served from 1990 to 1991, says that hobnobbing at cocktail and dinner parties was his favorite part of the job.